Obituary for Mildred M. (Miller) Giel | Frank F. DeBor Funeral Home, Inc.
MILDRED M. GIEL, age 95, of Brookline, on Sunday, November 25, 2018, passed peacefully into eternal rest surrounded by her loving family. She was the beloved wife of the late Edmund G. Giel, Sr. of 72 years. Mildred was the loving daughter of the late Dora and Thomas Bailey and Raymond Miller, and the daughter-in-law of the late Edmund L. and Margaret K. Giel; adored mother of Edmund G. (Cynthia) Giel, Jr., Patricia A. (Frank) DiFiore, Thomas P. (Collene) Giel, Donald L. (Clare) Giel, and Janice M. Giel; cherished grandmother of 12 and great-grandmother of 9. Mildred was the sister of the late Elizabeth (Bernard) Seneway, Grace (George) Cupples and Thomas Bailey, and sister-in-law of the late John Hall and James Egler, Marie (LaRue) Wilson, and Jean Giel. She is survived by her sister Jean Hall, sister-in-law, Bonita Bailey, and brother-in-law William Giel. A woman of unfailing faith, unwavering strength, and unequaled compassion, Millie was the consummate caregiver to her younger siblings in their youth, to numerous family members whom she selflessly supported through difficult circumstances and to strangers who benefited from her years of committed volunteerism. 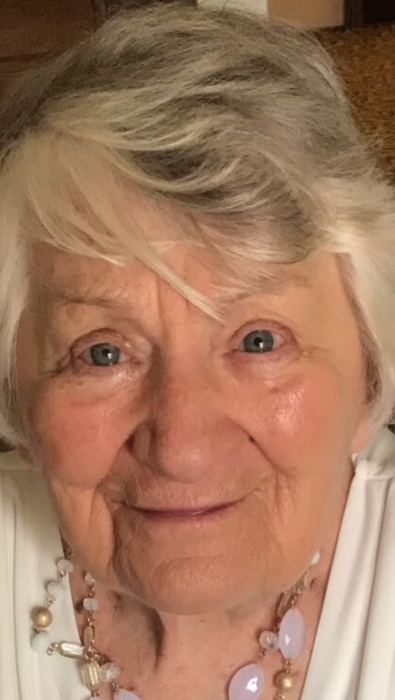 She devoted her life to her family, her church and her community, gifting all who knew her with her value of hard work, her appreciation of simple pleasures, and her belief in the innate goodness of people. She was a blessing to cherish and honor forever. Family and friends will be received at the Frank F. DeBor Funeral Home on Wednesday and Thursday, November 28-29, 2-4 and 6-8 p.m. A Mass of Christian Burial will be celebrated on Friday at 10 a.m. in the Church of the Resurrection (Brookline). Interment to follow in Queen of Heaven Cemetery. Memorial contributions may be made to the Church of the Resurrection, 1100 Creedmoor Avenue, Pittsburgh, PA 15226.